Michael Wild, Évelyne Thiffault, Kevin J. Whitty, Marcel Cremers and K.P.H. Meesters (Koen). The webinar will be moderated by Jaap Koppejan. 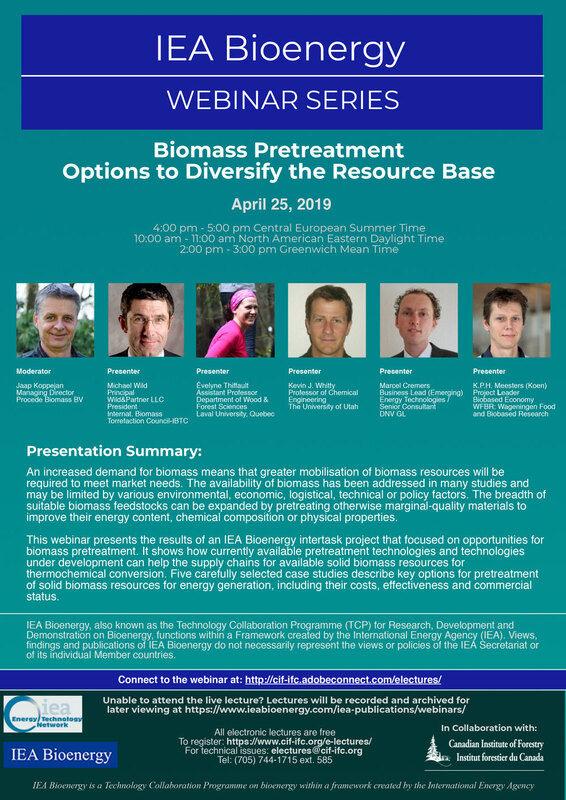 This webinar it will be held on Thursday, April 25, 2019 from 4:00 pm – 5:00pm Central European Summer Time / 10:00 am – 11:00 am North American Eastern Daylight Time / 2:00 pm – 3:00 pm Greenwich Mean Time.